The fight between offline and online retailers in India is spreading – more and more brands are now trying to discourage online purchases of their products in order to save their offline retail partners. The newest manufacturers to join the growing list are LG and Videocon. According to ET report, the brands are planning to stop offering in-warranty free support services for products that are bought through online ecommerce stores like Flipkart, Snapdeal and Amazon. The products that will not receive warranties include Televisions, Refrigerators, Microwave Ovens, Washing Machines, Air Conditioners and other consumer durable products. Interestingly, this may not be applicable for smartphone or other mobile device purchases. 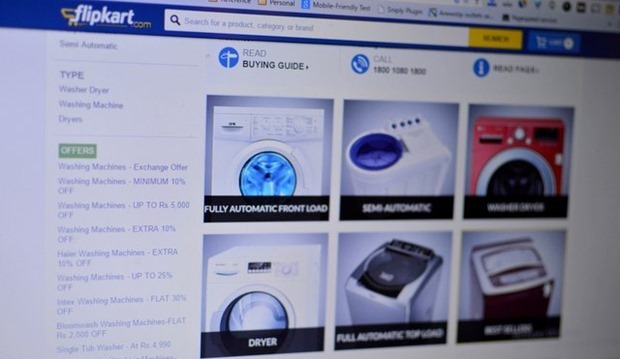 It’s just not LG and Videocon who are discouraging online purchase of products – brands like Daikin and Haier are also advising customers not to make purchases online. The biggest issue brands have right now with ecommerce sites is that they are undercutting the product prices, which creating severe sales problems for their offline partners. Last year, Lenovo, Toshiba, Netgear, Nikon and even Dell have come out with similar statements that they will not be offering warranties on their products that have been purchased online. Why Are Product Manufacturers Doing It? In last couple of years or so, online shopping grown to such an extent that offline retailers are now severely affected by them. Their sales are down as consumers prefer to buy products online, thanks to excellent deals offered by the likes of Flipkart, Snapdeal and Amazon. Obviously, hundreds are offline retailers and channel partners are revolting back stating that they cannot match the prices offered by these online retailers. In addition to this, these channel partners double up service agents. So, consumers are buying the products online, but approach these offline retailers/channel partners when it comes to warranty servicing. So, offline retailers are suffering from both sides; They are not making any money due to lack of new product sales and at the same time they have to service the products which does not garner them any profits. For customers who buying products online – they have to make sure that their products will get warranty, especially if they are buying expensive consumer durable product. "To Discourage Online Sales, LG & Videocon To Stop Offering After Sales Support For Products Bought Online", 5 out of 5 based on 1 ratings. Google Launches 2 Budget Chromebooks In India Priced Below Rs.14,000! Countries like India getting tuned into the digitization era would largely require such steps. Appreciate! Sort of security threats ever getting into shape needs a fightback, quickly and efficiently. From personal viewpoints to nationwide edge, such protected environment can indeed be a shield to cyber attacks!! start of bad days for LG, Videocon, Daikin and Haier if the take back support for online sales.